Nah, just kidding! I thought it was about time for a deeply philosophical blog title. Hard to believe I made exactly ONE POST before it all went pear-shaped. Well, since my last (and first!) post there has been a death in the family, which has taken my focus away from the digital world completely. It wasn’t a particularly close relative as these things go, but still there was grieving and a mountain of administration to get through. It’s made me think a lot about death and, subsequently, about life. I might as well tell you what I mean by that. My Great Aunt Eunice passed suddenly and surprisingly on November 13th. She was in hospital with a minor ailment when her heart began to give out. The amazing thing is that my parents missed the call from the doctors which told them “Come in NOW.” It was several hours later that the message got through – just in time for me to arrive home from London, in fact. All together we leapt in the car and drove north for three hours. We arrived at the hospital, every member of her close family still living, and an hour after we got there she expired in our midst. Now this may not seem remarkable until you consider that she’d been at death’s door for most of the day; despite the delays and the distance, the break-neck mission down the motorway and all the hours elapsed twixt call and arrival – she died within an hour of us getting there. She waited for us – there’s no other way I can put it, other than a fantastic coincidence. No, that old lady KNEW we were coming, and she held on, and on – until she KNEW we were there. And then, safe in that knowledge, she could finally let go. So what did it teach me? Well, one major thing, a lesson I’ve learned again and again in many different ways and times – but one which can’t be re-iterated enough. In the end, love is all that matters. That old lady had led an amazing life. 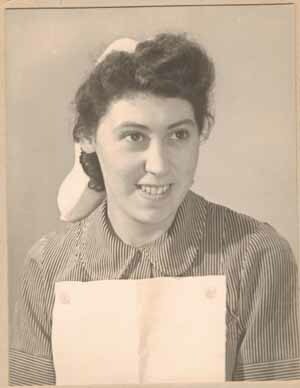 She’d seen hardship like few people I know, as a nurse in World War 2 and then raising a son only to lose him to a drunk driver. Later on she lost her husband, but she still kept soldiering on. And when the final curtain called, she waited to be surrounded by the people she still cared for, checking to make sure we were all okay before she went on to join those that waited for her. She died quite well off, owing to various circumstances of her life. But she didn’t die grasping the money. Does anyone wait for the deal to be transacted, the sale to be made or the interest to be paid, before they die? I very much doubt it. There’s only one thing which keeps a dying woman alive, hanging on, just waiting… and that’s love. Her family, or what’s left of us. So I guess my point, or my message if you like – that I took home from this, and so can you – is go out and Love. Get closer to your family. Remind them you love them, even if it doesn’t come naturally. Especially if it doesn’t come naturally. Because at the end, when everything else just stops mattering – that’s who will be there for you. That’s who you’ll be waiting for. And that’s who you’ll be saying good-bye to. R.I.P. Eunice Boulton, Matriarch of the Slater Clan, 22nd July 1923 – 13th November 2010. Joe and Stewart are waiting for you. Go with them.